 Cole-TAC can bring your ideas to life by specializing in high-quality, American-made products. With our modern manufacturing equipment, an engineering mindset and approach, along with our attention to detail, you can trust our exceptional processes. Our services include contract cutting, subassembly manufacturing, and complete production. With low minimums and fast turnaround times, we can provide the parts you desire within the timeline needed. We are bringing back manufacturing to the USA in our New Hampshire facility. Contact us today and let's explore how we can best partner for your soft good needs. With our automated fabric cutting CNC, we can precisely cut and mark your patterns. Our system can maximize your material utilization and provide a level of accuracy unmatched by manual cutting methods. Clean and accurate pieces produce better products with increased quality and higher efficiency. Placement marks eliminate the need for manual measuring or inaccurate guessing. You can choose to have your products cut from our in-stock fabrics, or you can ship your materials to us for cutting. Contact us today to see how we can make your cutting needs more efficient and more streamlined. With our high-speed, automated cutting equipment and engineers on staff, we can fulfill any of your strapping needs. Our equipment can precisely cut webbing up to 14” wide. The on-site automated stitching machines ensure consistent and repeatable results. From simple shoulder straps, to complex tie-downs and lifting straps, our knowledge and capability to manufacture in our New Hampshire facility will surpass your expectations. A licensed Professional Engineer (PE) is available to certify the design and its load rating. Contact us today to see how we can help manufacture the quality straps your business requires. Please contact us for any additional information about our facilities, staff, equipment or to get your first production run in the works. Thank you for your time and consideration in Cole-TAC.